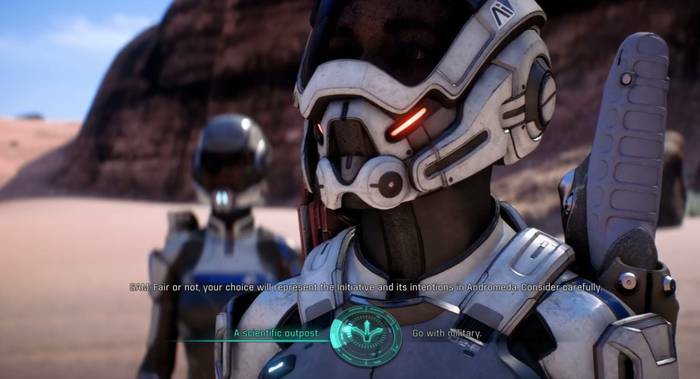 This page contains a full walkthrough for the Main Mission A Better Beginning, including objectives, dialogue options, enemies and strategy. The Main Mission A Better Beginning takes Ryder and the Pathfinder crew to investigate Site 1 on the planet Eos. 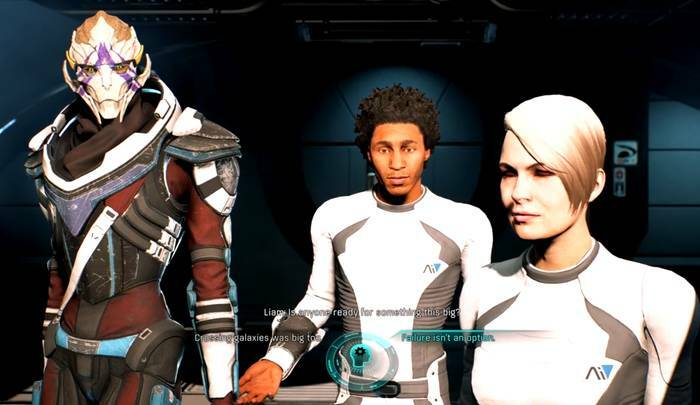 Ryder officially takes up the mantle of Pathfinder on the first mission aboard the Tempest after ‘inheriting’ the role from Alec. After talking to Director Tann, head for the quest marker for the next objective. Approach and interact with the SAM node for conversation to ensue. 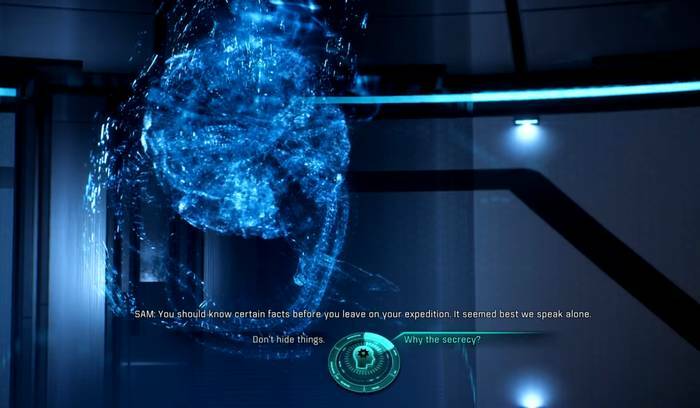 SAM: Should know certain facts before you leave on your expedition. It seemed best we speak alone. Text Don’t hide things. Why the secrecy? Outcome TBA SAM: Your father felt it was for the best. SAM will then tell you about Profiles, physiological enhancements that Ryder’s father kept secret from most of the Pathfinder team. 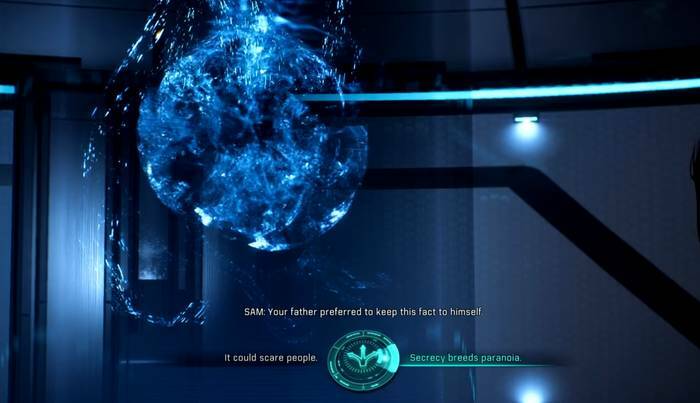 SAM: Your father preferred to keep this fact to himself. Text It could scare people. Secrecy breeds paranoia. 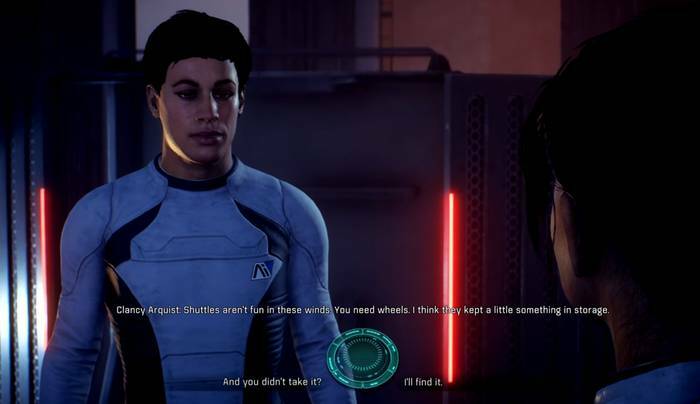 Ryder then questions what kind of AI SAM is, as the latter states that he is beyond the ordinary sort of man-made technology. SAM: I am a new form of AI, drawing directly from the human experience. 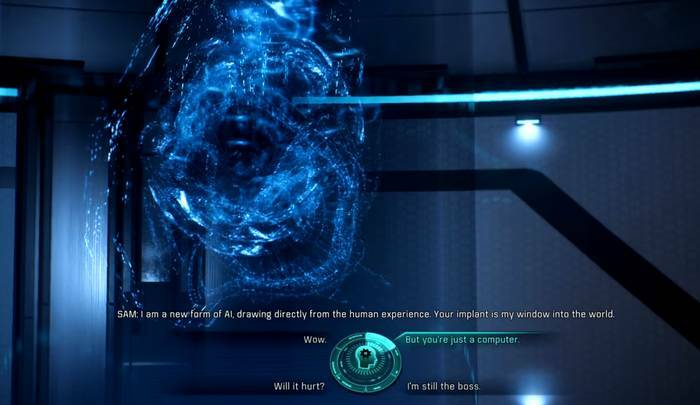 Your implant is my window into the world. Text Wow. But you’re just a computer. Will it hurt? I’m still the boss. Outcome TBA TBA TBA SAM: Of course. I was never intended to supplant the Pathfinder. Only to support and enhance your abilities. After talking to SAM, you’ll get access to the Pathfinder Profiles Menu. This allows you to choose your playstyle to suit various combat situations in the game. 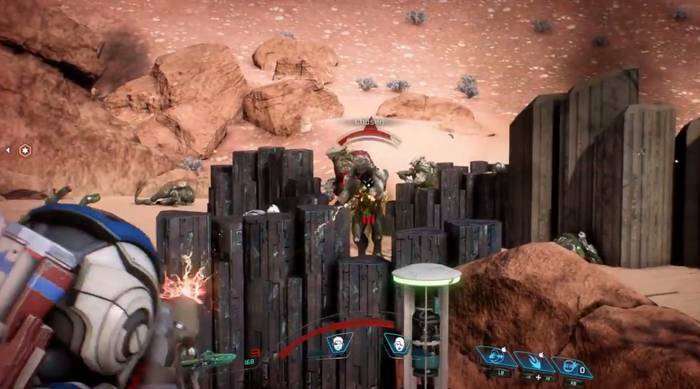 All but the Soldier Profile will be locked however, so you’ll need to invest in Combat, Tech or Biotic skills to get access to more profiles as you progress through the game. After the conversation with SAM, follow the quest marker again to your ship. 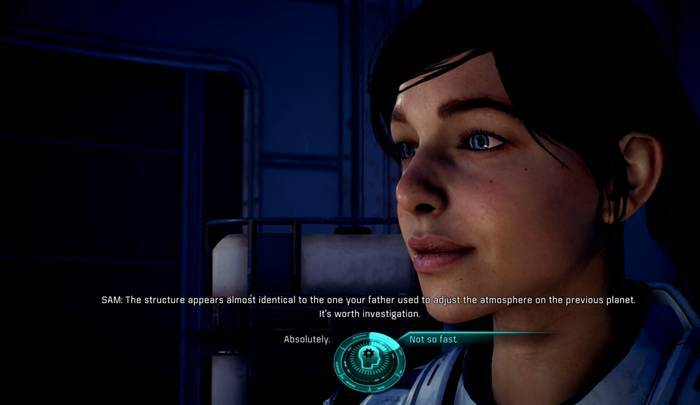 By this time, the Side Mission Ryder Family Secrets will also be available. Following the quest marker along the Atrium, you can access a container that holds an AR Barrel I Weapon Mod. This provides +10% Assault Rifle Damage. When you get to the tram, use the terminal and head for the docking bay. You will be joined by Cora shortly. 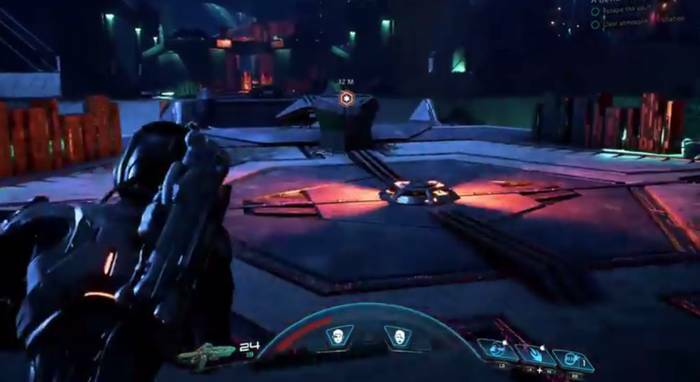 Watch the cutscene where Vetra Nyx will be introduced. A dialogue will ensue. 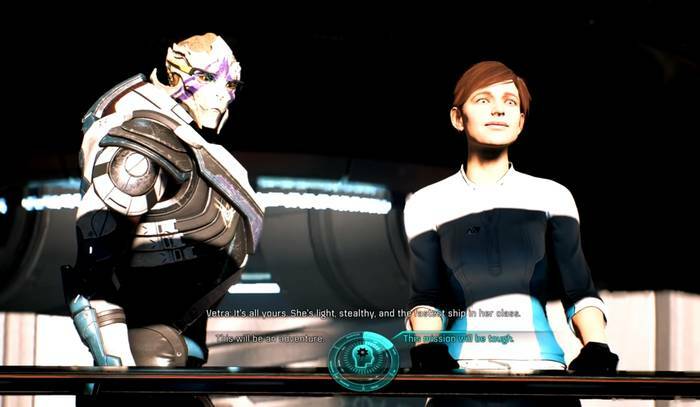 Vetra: Yes. Otherwise, there’s no way they’re letting this ship off the station. Text Let’s get out there. What’s wrong? 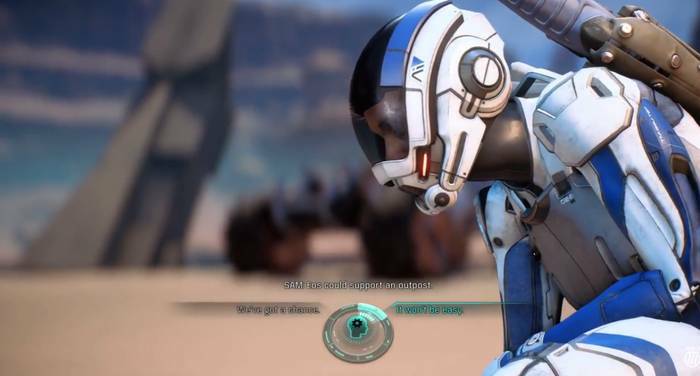 Outcome TBA Vetra: Just don’t want to waste any more time. 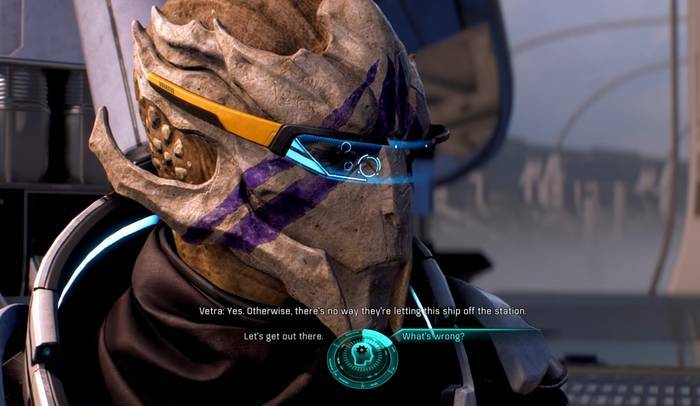 One of the staff on the ground will stop you, to which Vetra will negotiate for you to depart at once. Text I didn’t do it. Is there a problem? Outcome TBA Ben: Director Addison wants to see a complete report of the Tempest’s supplies, munitions, and crew. 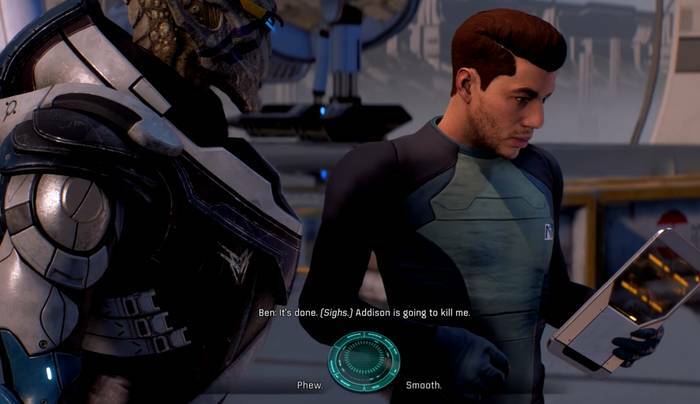 Vetra will sweet talk Ben into letting you off. You can comment on how she handled the situation. Ben: It’s done. [Sighs] Addison is going to kill me. Outcome TBA Vetra: Part of the job, Pathfinder. 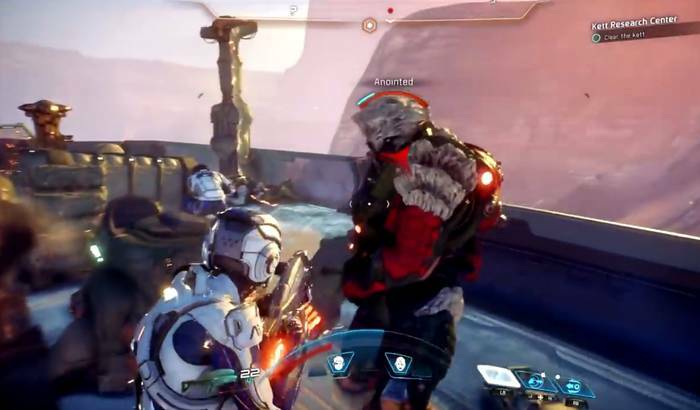 Once you board the Tempest, Vetra will hand over the command of the ship to you. You can respond in two ways. 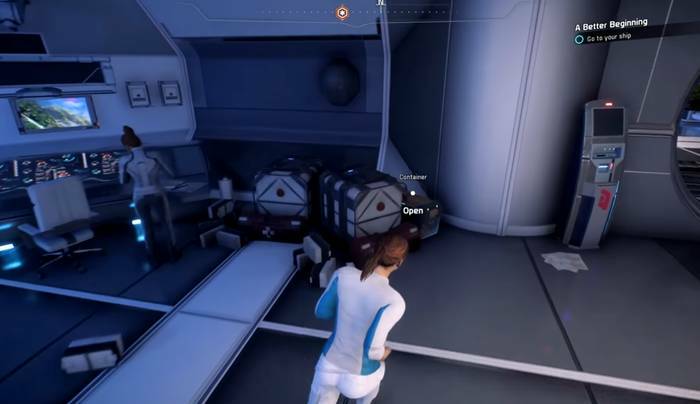 Vetra: It’s all yours. She’s light, stealthy, and the fastest ship in her class. Text This will be an adventure. This mission will be tough. After the conversation, follow the quest marker. Open the door and another cutscene will ensue. You’ll be greeted by Kallo Jath, the Tempest’s pilot. Kallo: I’ll be piloting the Tempest at your word. Quite the ship! But it’ll take a Pathfinder’s guidance to see us through Heleus. Text I’ll keep us out of trouble. I’m still learning the ropes. Outcome TBA Kallo: You’ll be fine. As for the ship I can help. I knew the Tempest when she was a blueprint. 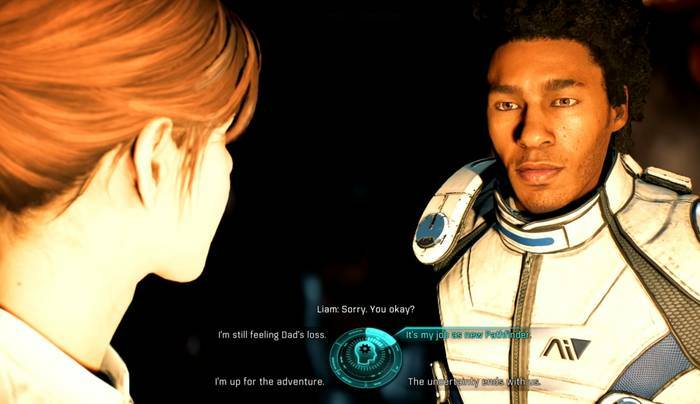 Meeting with the rest of the Pathfinder team again, Liam will ask you if you’re really ready for such a mission. Liam: Is anyone ready for something this big? Text Crossing galaxies was big too. Failure isn’t an option. Before launch, Cora will remind you that this is really it. She asks you to say something for the log. 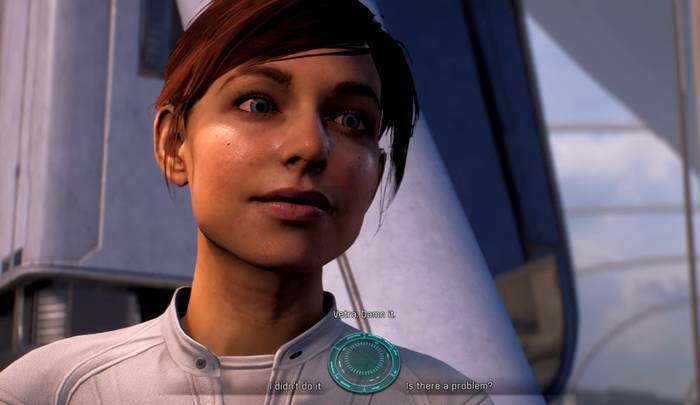 Cora: This is it, Ryder. The Tempest is yours. Unless you’ve got something to say, for the log? Text Keep dreaming of a home. We’re the Nexus’ best hope. We got this. No. Let’s go. Once the Tempest departs, you’ll be taken to the view of world exploration. Select Eos (A Better Beginning). You’ll then come to another menu overlooking the solar system. Choose Eos again (A Better Beginning). A closer view of the planet will be displayed. 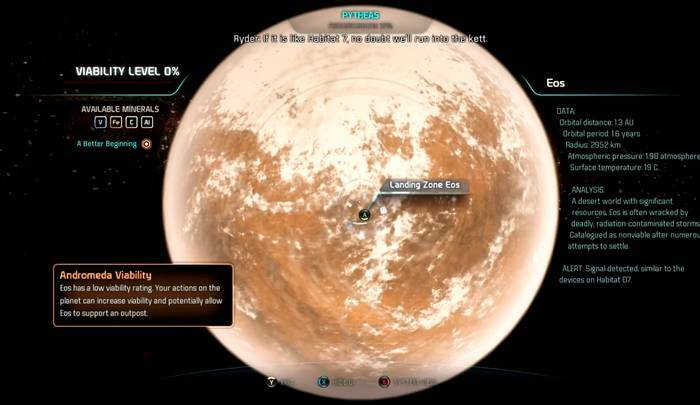 From here, choose the landing zone (the only one available now) to land on the planet. You can note the available minerals on the planet, as well as more of the geography of Eos from this view. As you prepare to enter the planet, you’ll come to the weapons loadout menu. 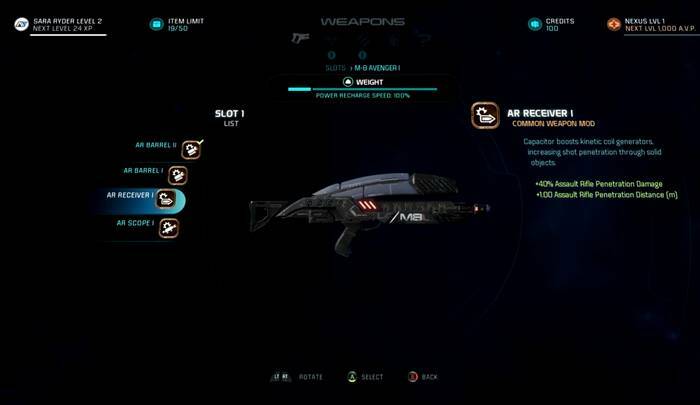 Here, you can choose which weapons, armor and consumables to use, as well as modifications that you can do on the first two. You can use the AR Barrel I that you picked up a while ago and attach it to the M-8 Avenger I. You can also take a look at your current squad as well. When you’ve finished the preparations, a cutscene will ensue. Liam will then ask if you’re okay. Text I’m still feeling dad’s loss. It’s my job as new Pathfinder. I’m up for the adventure. The uncertainty ends with us. 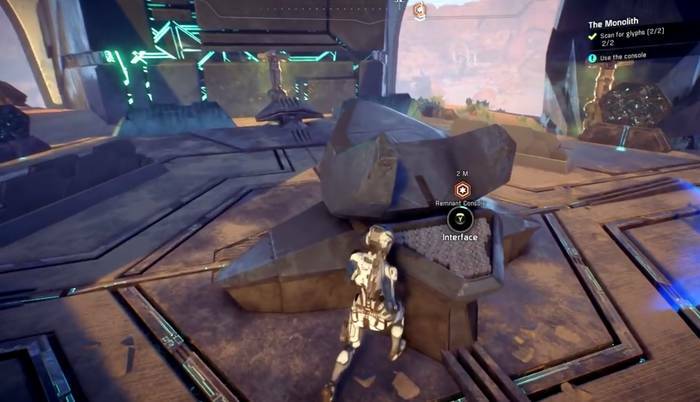 Once you gain control of Ryder, follow the quest marker ahead. The path to Site 1 is just beyond the outpost door, so enter it. Proceed further towards the quest marker. You can try to scan the damaged power turbine just up ahead. You’ll then need to restore power to Site 1. You’ll also need a code to access locked buildings. From the damaged turbine, proceed forward and make a right to enter the last station. Inside the station head for the next room to find a Datapad on the desk to your left. After getting the code, leave the station from where you came in and follow the quest marker up ahead the station on the right of two buildings. Once you’re inside, look to the right for a container that has Repair Actuals and Asari Comm-link. Then, continue heading for the marker. You’ll come up to a console that you need to operate. You’ll then need to take a look at what’s blocking the power in the Power Relay Station. Head outside and follow the path out of the site to the Power Relay Center up the hill. Walk up the stairs and enter the station by using the console by the door. When you interact with the comm on the door, you’ll be spoken to by a salvager named Clancy Arquist. Clancy Arquist [Comm]: Now shove off. Find your own salvage. This spot’s taken. Text Who are you? I’m here to help. Clancy will then tell you that he was the one who cut the power to avoid the patrolling Kett from tracking it. Clancy: You turn the power relay back on, they’ll know there’s a juicy target alive down here. Text Leave the kett to me. But Eos could be saved. Outcome You’re crazy. Though maybe it’s a good crazy. TBA. After talking to Clancy, he will open the door. He’ll also mention of a vehicle that you can use to travel on the planet’s terrain. Clancy: Shuttles aren’t fun in these winds. You need wheels. I think they kept a little something in storage. Text And you didn’t take it. I’ll find it. Outcome TBA Clancy: Just finding it won’t be enough. Hope you’re smarter than we were. Clancy will then tell you that you might find more than just “salvage” the next time around. Clancy: We’re heading to our shuttle. Keep this up, maybe next time we’ll find more than just salvage ’round here. Text Get to a safe location. Salvage? Do you buy and sell? 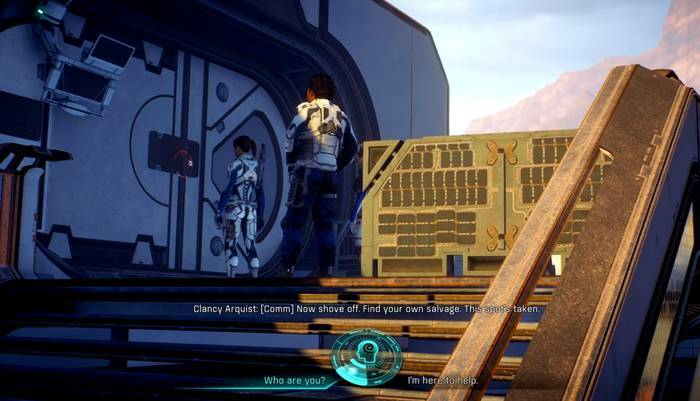 After talking to Clancy, operate the Outpost Power Controls. A conversation between you and SAM will ensue, regarding the structure emitting the signal. 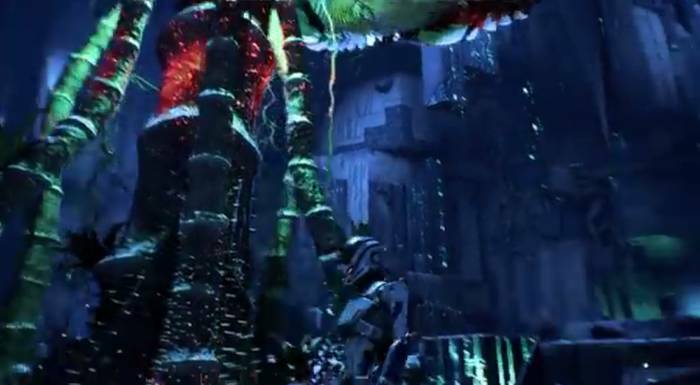 SAM: The structure appears almost identical to the one your father used to adjust the atmosphere on the previous planet. It’s worth investigation. Text Absolutely. Not so fast. After talking to SAM, head outside and follow the quest marker to a station just up ahead. 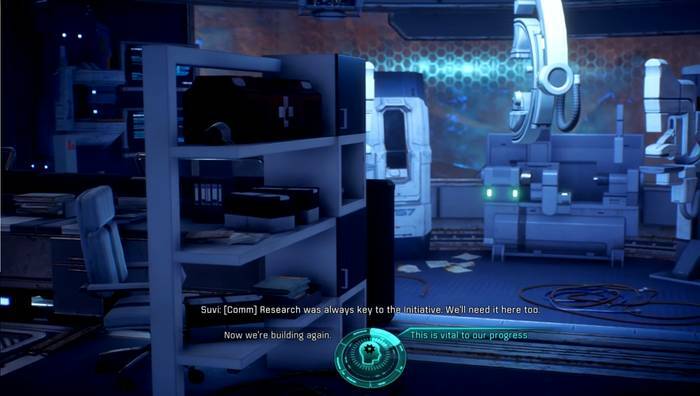 When you enter it, a cutscene will ensue that goes into dialogue of how the research facility remained intact after all. Suvi [Comm]: Research was always key to the initiative. We’ll need it here too. Text Now we’re building again. This is vital to our progress. After the conversation, access the Datapad (Log: New Designs, Departures) from just to the left of the door from where you came. Then, open the chest just a little to your right for a Welding Electrode and Terran Rivet. Go down the short set of steps and open the chest on the right for 55 Element Zero. Afterwards, operate the terminal to activate the Power Relay. Once you’ve activated the Power Relay, you’ll unlock the Task Research Center Development (which requires you to collect area resources and craft a weapon). 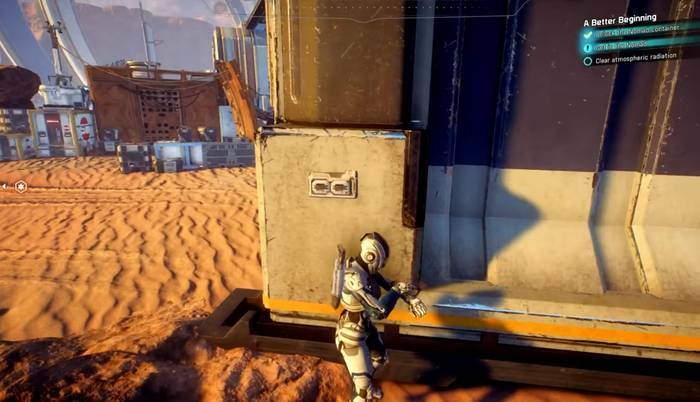 Leave the facility, then follow the quest marker again to a big container and scan it to find the Nomad. Hop in and travel to the signal. Get in the Nomad and head for the quest marker. Afterwards, interact with the terminal in the center of the structure emitting the strange signal. When you arrive at the tower, use your scanner on your surroundings for some Research Data. Don’t head for the panel just yet. Look for the lower leaning pillar above the panel. You can take the scaffolding next to it that will make the climb up the structure easier. Go up, then use your scanner there to discover a glyph. 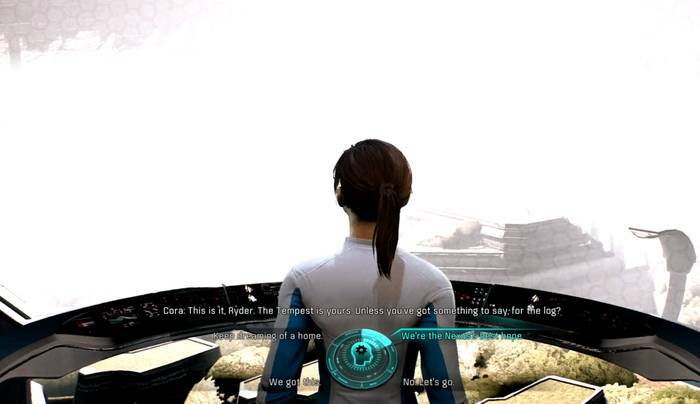 Then, head for the panel for a cutscene. You’ll be introduced to Peebee, who will tackle you as you try to interact with the panel. You can try to push her off. Eventually, you’ll have to respond to her doubting the purpose of the Pathfinders. 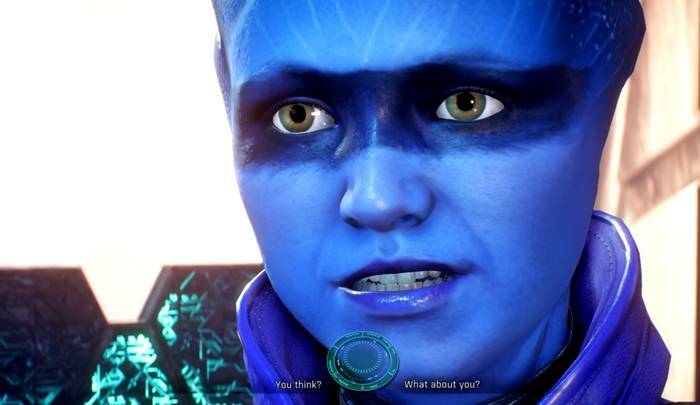 Peebee: … you’re a Pathfinder. Was beginning to think the Initiative just made you guys up so the rest of us wouldn’t lose hope, but you’re for real, huh? Text You think? What about you? Outcome TBA Peebee: I might just be the solution to your problems. The conversation will be cut short as your group will be attacked by some assemblers. They aren’t particularly hard to take out so manage them quickly. They usually drop Nitrate Infusers if you loot them when they’re down. These can be sold at a merchant for some credits. Be careful of the Observer among the enemies, being careful not to be caught in its laser sights. After the battle, Peebee will talk to you again. She will comment on those machines that attacked you. 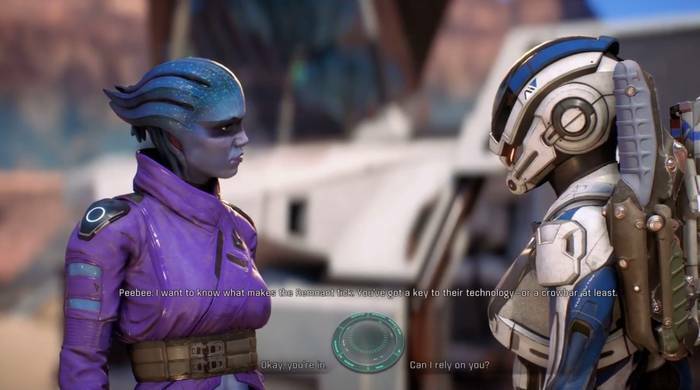 Peebee: But that’s too long. I hate long. So “The Remnant”. Like my name’s better as “Peebee”. Text Good to meet you. Tell me about the Remnant. Outcome Peebee: You’re a mystery. I’ve been studying those glyphs for months, then you arrive and -pffft! Solved. TBA. 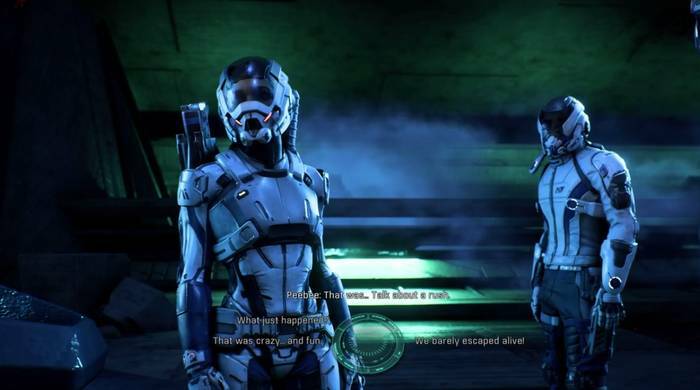 Peebee will then well you that following the remnants must lead to the source of the radiation. Peebee: if you wake them up too, they must lead to whatever master switch might fix the radiation. Text That seems convenient for you. So we follow the thread. Hop on the Nomad again and head for the site fo the next monolith indicated by the quest marker. When you come to where the road forks, make a right and avoid the kett for now. Proceed further on the road to access a Forward Station which you can use to repair the Nomad. When you get to the location of the next Monolith, be prepared to engage some Observers and Assemblers. Stay mobile and manage them one by one. When you’ve taken out the remnants, look for the two glyphs there. 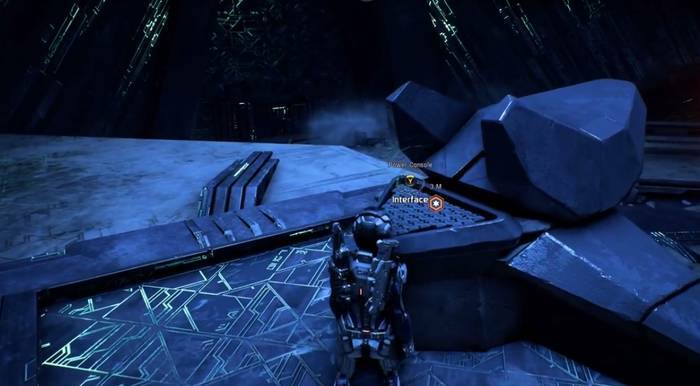 You can try to operate the two Remnant Consoles on the outer side of the monolith to use the pillars to reach the glyphs. Glyphs are usually located on the large leaning pillars. You can also use the scanner to reveal the yellow markers that point to the glyphs. Scan the two glyphs and operate the panel. The panel will require you to solve a puzzle. This can be skipped by using the Remnant Decryption Key, but it’s better to save that for other situations. The answer to the puzzle is shown below. 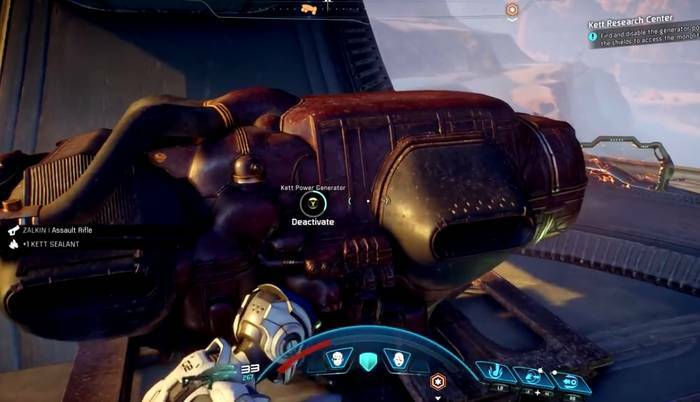 Once you’ve activated the monolith, an enemy dropship will appear. You can choose to engage the enemies you make a run for it and get in the Nomad. Head for the next monolith. This time, you’ll have to get through a kett outpost. Remember to keep your mobility up and use as much cover as you can when engaging the enemies here. They’ll also be assisted later on with two dropships. Among the enemies that will appear here are the three Anointed kett, which you should focus on first. After the battle, get up the base and walk around to the platform to find one of the shield’s power supplies. Be sure to check the container next to it for a Zalkin I Assault Rifle and a Kett Sealant. Then, head for the next marker to the other one. As you approach the second power supply, a cutscene will ensue. 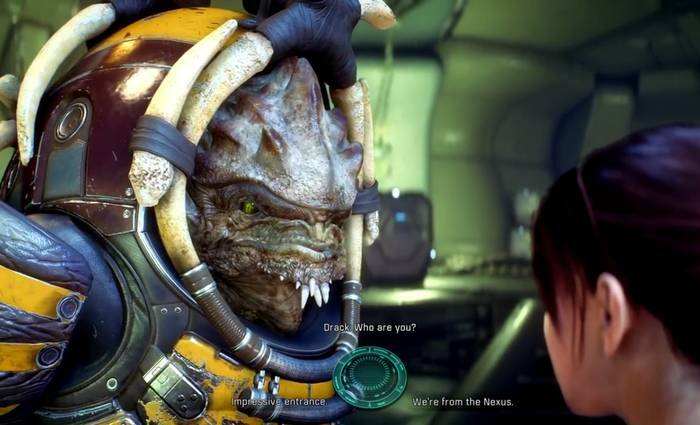 You’ll be introduced to Nakmor Drack who asks who you are. Text Impressive entrance. We’re from the Nexus. He soon asks what you’re doing on the planet. Drak: What are you doing out here? Text Holding our own. Exploring. You can now move around the base after disabling the shield. Proceed towards the third monolith. 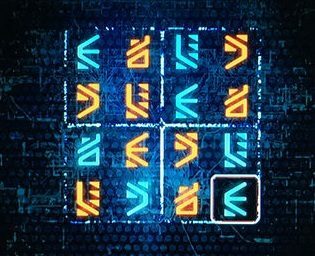 Use the scanner again to look for the two glyphs. You’ll find one off them on the leaning pillar above the console. The other is further ahead on the pillar outside the radiation barrier. Afterwards, operate the panel. From here, you should head to the lake and check out why the monoliths are responding to it. Hop on the Nomad and go to the quest marker. When you arrive there, use the console to activate the bridge that leads to the entrance of the structure that appeared. You’ll see Peebee already there. Proceed further towards the marker and you’ll come up to a door. When you open it, you’ll have a chance at customizing your loadout again, so make the necessary adjustments if you want. After that, a cutscene will play. The room beyond ends up being a dead end (or is it?). But then the floor opens, prompting Peebee to comment on how good you are. Text it was nothing, really. That wasn’t me. You can choose to jump in immediately down the pit. A cutscene will again play. 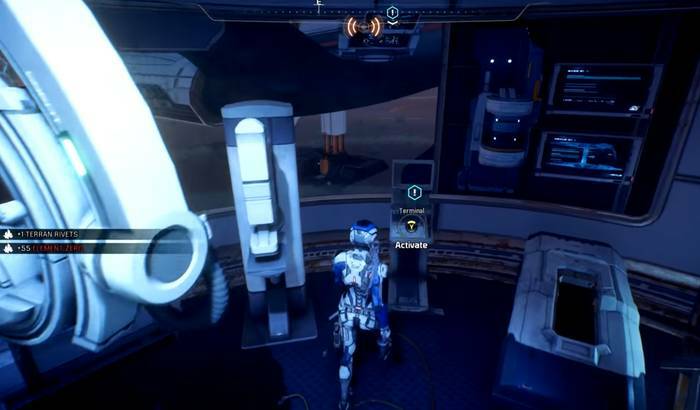 Once you gain control of Ryder, check the corners of the room to collect some items that you can sell. Then, head for the quest marker up ahead and access the console. Go towards the next quest marker past the vault that opened after accessing the console. 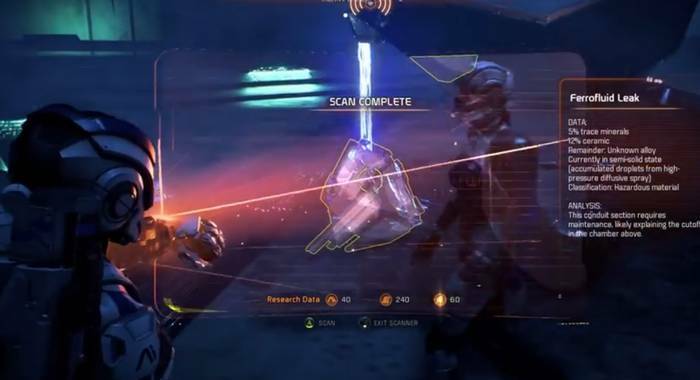 You can try to scan the strange remnant device just before the marker for Research Data, as well as the holographic patterns on the side. Pass through the door following the conduit and scan your surroundings there. Then, head to the next door. In the next area, you’ll stumble upon some sort of relic. 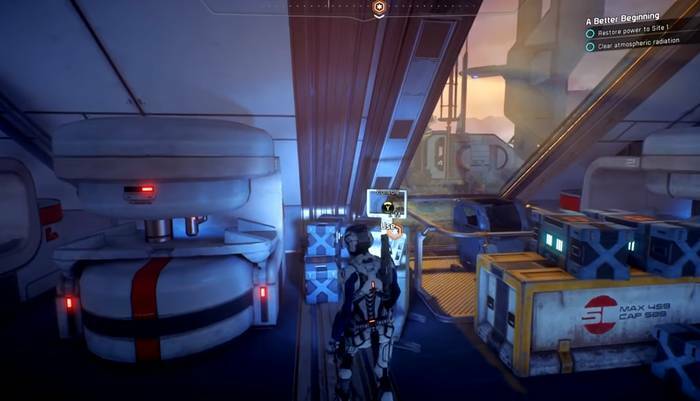 To have a better look at the area, Peebee will suggest that you split up. Peebee: I do my best work solo. You fix up the vault. I’ll investigate the relics and together, we’ll figure this place out. Text Split up? Are you crazy? Good plan. Outcome TBA Peebee: See? I knew you were smart. As you’re about to leave, make for the left side of the area and note the door that has some mysterious barrier (note its location on your map for later). Then, proceed to the next room by going up the ramp on the left side. Continue following the conduit, which will lead you to some Remnants. Once they spot you, they will attack. You can avoid the encounter by sneakily making your way around them . Make sure to stay away from the dark acid a well. As you continue on the path of the conduit, you’ll come up to another group of remnants. Manage your team and take out the assemblers one by one. 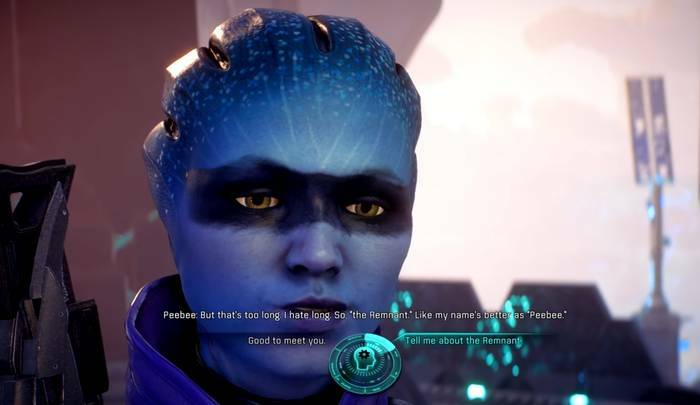 You’ll meet up with Peebee again for a while and hear about what she found out about the relics. When she leaves, head for the door on your side. As you cross the hallway, you’ll reach another room with some remnants again. 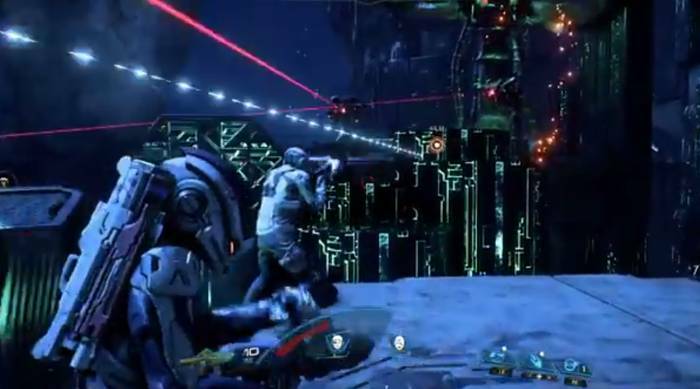 Note that the enemies will be assisted by a turret, so do your best to weave and take cover as you engage them. You can try to access the shield to help you in the fight by running past the turret. After clearing the enemies, activate the next console. This will activate another gravity well. Afterwards, proceed further down into the vault. When you get to the next room, the conduit will be broken. Peebee will then send you frequencies to repair the leaking console. Activate the console and head for the large door. 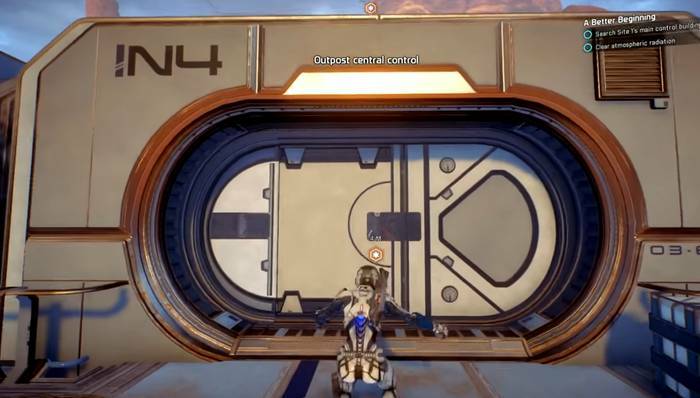 In the next room, use the console there to activate the pillars that take you to the next platform. 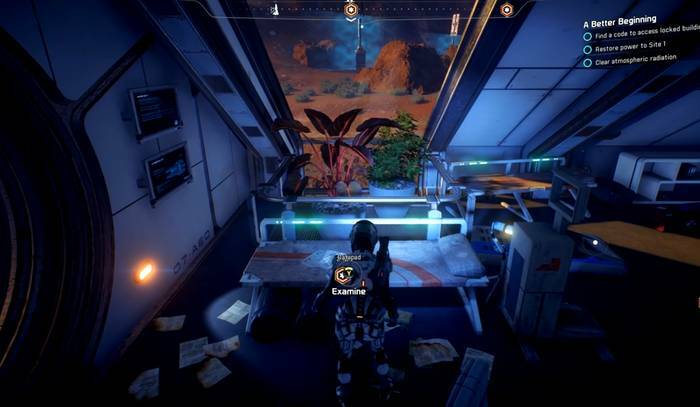 You can scan the plant there before activating the next console. Prepare to engage some assemblers as you proceed on the next platform, making use of the cover to avoid taking too much damage. After taking care of the remnants, activate the console on the towards the ledge on the far side of the platform. This will access more pillars, though you’ll need to head back to the platform with the big tree. As you approach the island with the big tree, observers will appear. Engage them, then proceed back to the island. Activate the next console and engage more observers and an assembler on the new platform. Proceed towards the path again when you’ve defeated them. When you reach the next room, use the console there which will activate another bridge. Make your way across then just before the door on the right, walk on the side of the left and up the ledge. You will come to a container with some useful items. The next door leads to the final section of the vault. Activate the console here to engage the atmosphere processor. Then, quickly follow the quest marker, avoiding the vents along the way. As you go higher and climb the ledges towards the marker, you’l reach a door that goes to a room with a gravity well to take you up. From there, head for the left side of the room, then proceed to the door with the mysterious barrier from earlier. Collect the items inside the room, including a Remnant Decryption Key. Head for the door for a cutscene. 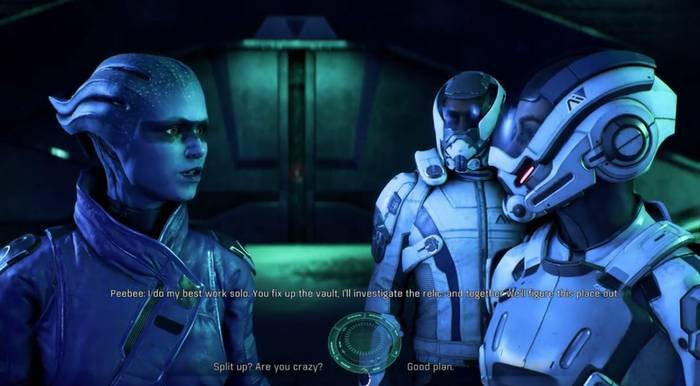 After the event, Peebee will comment on how you made it out just in time. Peebee: That was.. Talk about a rush. Text What just happened? That was crazy.. and fun. We barely escaped alive! 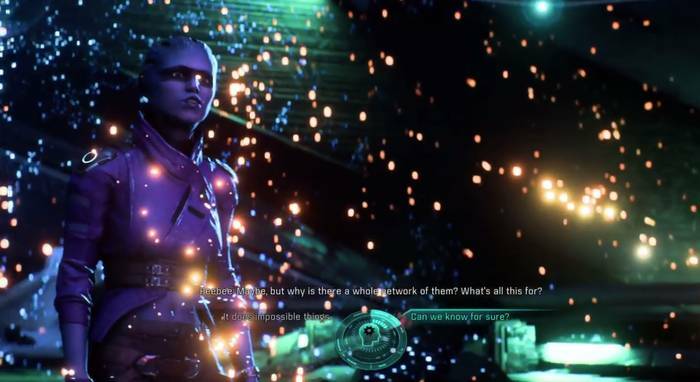 Peebee: Maybe, but why is there a whole network of them? What’s all this for? Text It does impossible things. Can we know for sure? After the party moves up to the surface again, SAM agrees that an outpost can be established on Eos. SAM: Eos could support an outpost. Text We’ve got a chance. It won’t be easy. 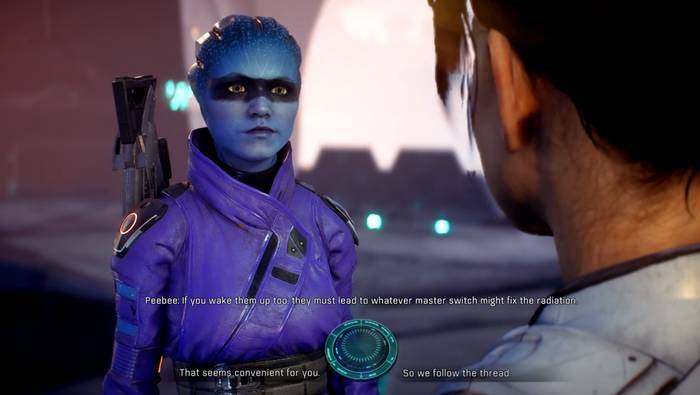 The conversation will lead up to Peebee offering to come along to join the Pathfinder team. Peebee: I want to know what makes the Remnants tick. You’ve got a key to their technology – or a crowbar at least. Text Okay, you’re in. Can I rely on you? Outcome TBA Peebee: Sure. But we don’t have to be joined at the hip to solve all this. Come on. 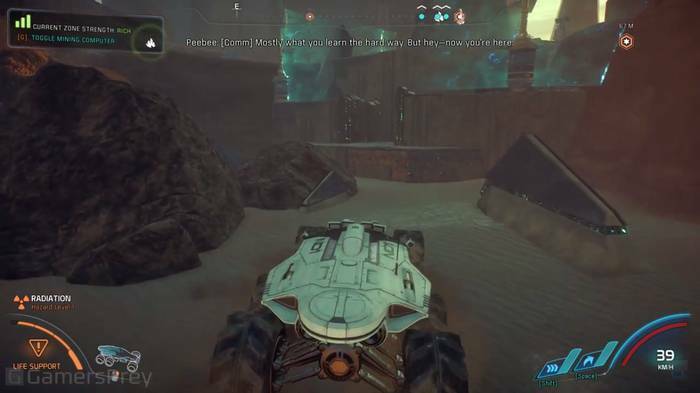 When Peebee leaves, hop on the Nomad and head for the Outpost Site. 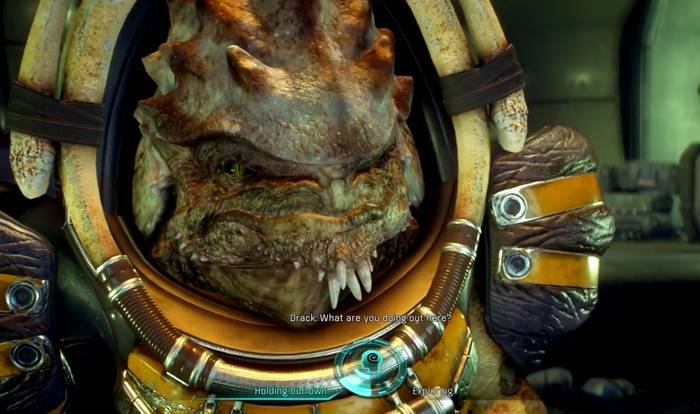 Drack will already be there, fending off some kett. Help him and he will join you as well. 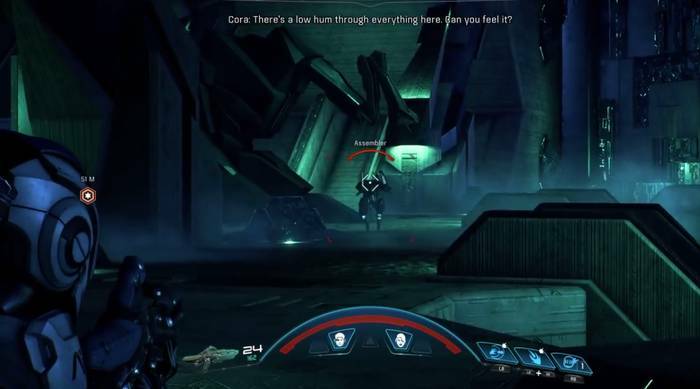 After the battle, Drack will comment on how well you handle yourself in dealing with enemies. 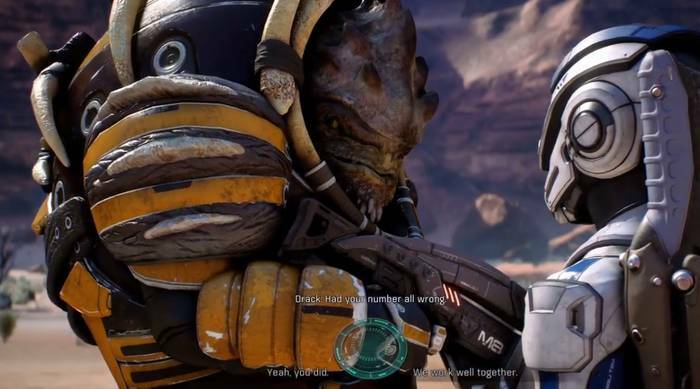 Drack: Had your number all wrong. Text Yeah, you did. We work well together. After you’ve cleared the kett, you can activate the beacon to establish the site. You’ll then have to choose whether the site will be a Militaristic or Scientific Outpost, which has some very serious impact on the game (building one or the other will send a message to the colonists of the Andromeda Iniatitve and the native species inhabiting Eos). You can ask your team for their opinion, though. After choosing the kind of outpost you will establish, watch the cutscene. Then, head back to the Tempest. A meeting will take place where you will get to decide what kind of leader you will be, so choose according to your preferences. Afterwards, head back to the Nexus via the galaxy map. After a few more cutscenes, head to the tram and select Operations. From there, report back to Director Tann. 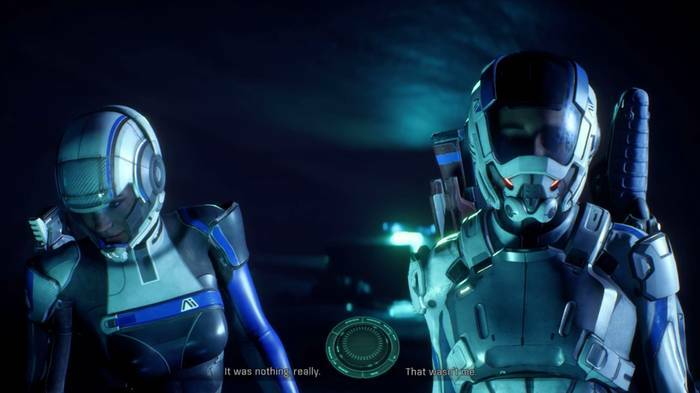 This concludes the walkthrough for Main Mission A Better Beginning for Mass Effect Andromeda.